Chairman Bobby and his Little Red Guards return to California on November 9 at the San Diego Asian Film Festival. 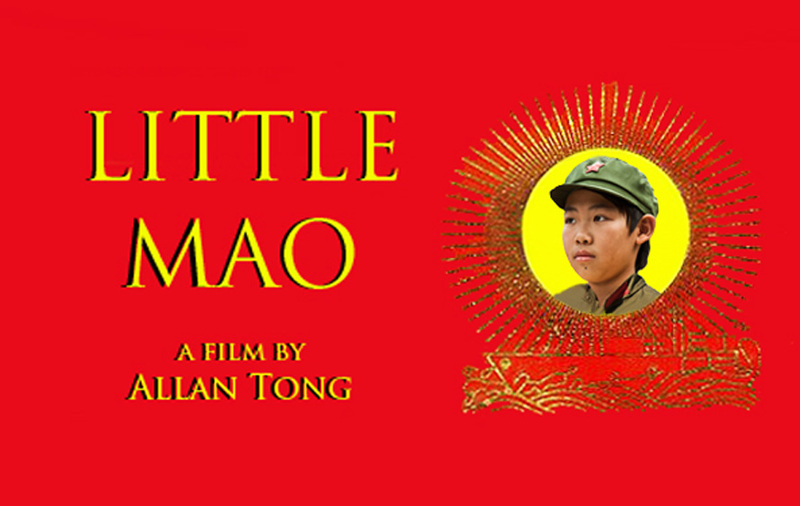 Earlier this year, Little Mao played CAAM Fest (formerly the San Francisco International Asian American Film Festival) and the Los Angeles Asian Pacific Film Festival. 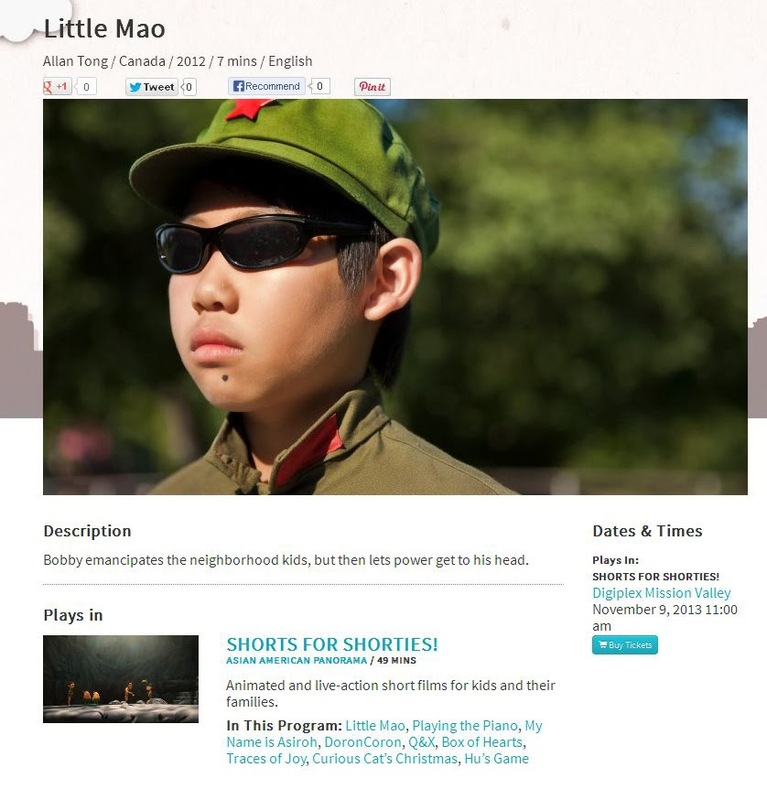 Little Mao is part of SDAFF's Shorts for Shorties program of children's films taking place at the Digiplex Mission Valley. "My comrades and I are overjoyed at playing in San Diego," Chairman Bobby said in a press release, which noted that the screening partially compensates for the Toronto Blue Jays failing to make the MLB playoffs this season. Capitalist America has been kind to Little Mao. In addition to the three California festivals, New York, Colorado, Seattle and Chicago have played the film before Yankee Imperialists of all ages.